Island Club Put In Bay - Info and things to do in Put in Bay, Ohio. Put-in-Bay, Ohio, is known as being the only city on South Bass Island in Lake Erie. Families, groups of friends, and couples come to the island to experience its natural beauty and fun attractions year after year. What many visitors don’t know is that the island also features some incredible history. The Put-in-Bay National Park, home to Perry’s Victory and International Peace Memorial, commemorates the Battle of Lake Erie and its role in the War of 1812. 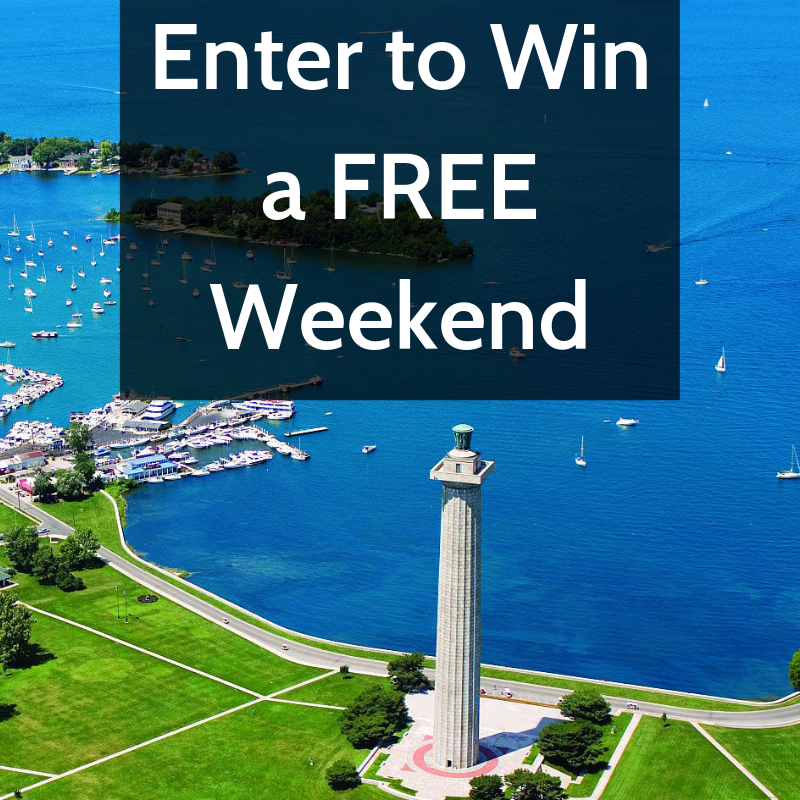 Read on to learn more, and don’t forget to enter to win our free weekend drawing. Every month, one lucky winner is selected! South Bass Island’s only national park is Perry’s Monument, a tribute to Commodore Perry’s crucial role in the War of 1812. Don’t miss this exceptional piece of history right here on Put-in-Bay! 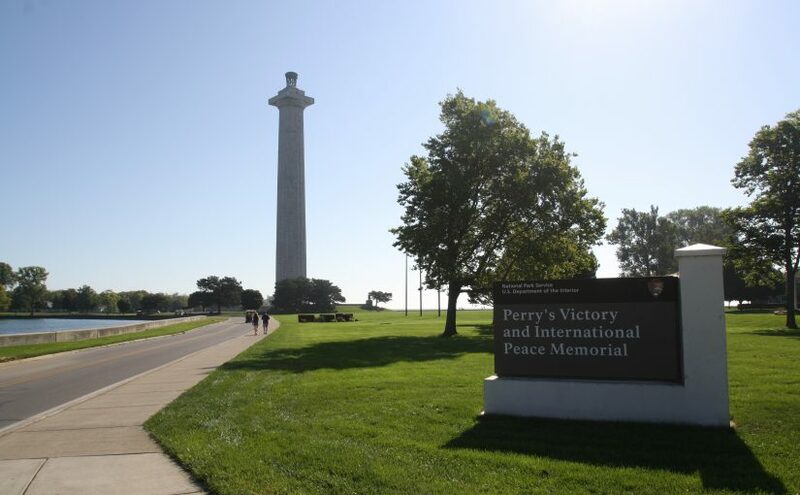 Perry’s Victory and International Peace Memorial was constructed from 1912 to 1915 to honor those who fought in the Battle of Lake Erie during the War of 1812. It is named after Commodore Oliver Hazard Perry, the naval commander who led his fleet to victory. Located along the longest undefended international border in the world, the memorial celebrates the lasting peace between America, Great Britain, and Canada. This 352-foot national monument is the most massive Doric column in the world, and it is the only international peace memorial in the National Park System. Visitors will never forget a trip to the observation deck to enjoy the magnificent views of Lake Erie and the surrounding area. History buffs can’t miss the annual Historical Weekend at the bay. Every year in early September, this event commemorates the anniversary of the Battle of Lake Erie. The weekend features art in the park, military reenactments, and a themed parade. The festival also hosts the only Boy Scout Jamboree at a national park or monument. About 1,200 Boy Scouts camp out on the memorial’s lawn and participate in community service activities all-day Saturday and Sunday. If you’re seeking a memorable field trip that your students will enjoy, Perry Education Days are the perfect solution! Your students can explore the grounds, see musket demonstrations, and learn about the 19th century at the education stations. Everyone will love the breathtaking view from the top of the memorial! Admission to the education stations and the Visitors Center is free, and field trip groups can apply for a fee waiver to visit the top of the monument. If a tour of the Put-in-Bay national park whets your appetite for more history, you’re in luck! Some of the most underrated activities on South Bass Island are the unforgettable cave tours. Take a tour of Crystal Cave under Heineman’s Winery to get an up-close look at the world’s largest geode. At almost 40 feet in diameter, the geode’s incredible crystals will amaze you. Crystal Cave tours are offered daily during the season, and tickets are $8 for adults and $4 for children. Perry’s Cave is another great cave tour available on the island. Here, you’ll have the chance to view the cave’s limestone facade, stalactites, stalagmites, and cave pearls. Perry’s Cave tours are $8 per adult and $5 per child. Don’t forget to pack your camera before you embark on a cave tour! After you’ve spent a day at the Put-in-Bay national park, you’ll want to go back to your vacation home for the evening. 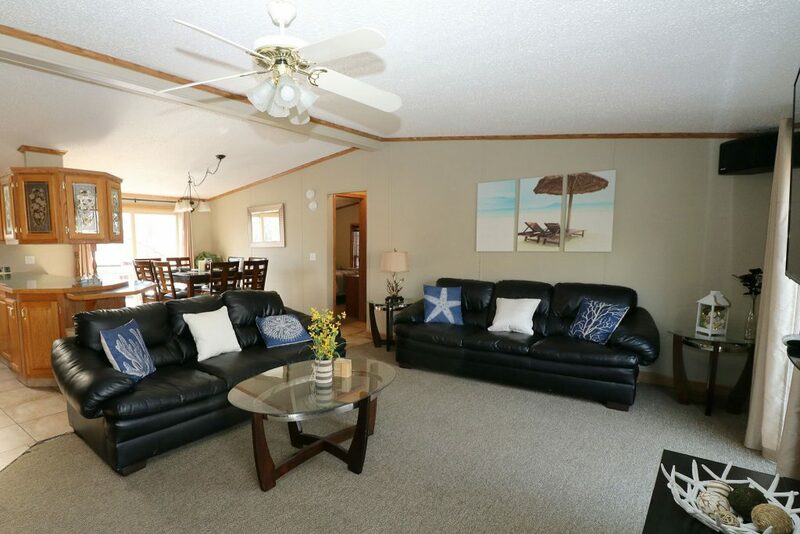 When you choose to stay at one of our spacious rentals, there’s plenty of room for your entire group to spend quality time together! Select from an eight-, 10-, or 12-person house, with the option for larger parties to rent adjacent homes. Each house is equipped with a full kitchen, private outdoor space, and a propane grill. Enjoy exclusive access to our community swimming pool and the Island Club Golf Carts, as well. Put-in-Bay is the perfect spot for your next family reunion, girlfriend getaway, or summer vacation. Don’t wait; book your stay at the bay today!